1. The car rental prices listed on our website is the local price which are for local Myanmar people. 3. All the cars introduced by us will be cautious of safe driving at all times. How ever, because of the lack of car insurance in Myanmar, in the case of car accident by chance, our company and car owners can not take the responsibility for customers’ injury and property losses. We strongly suggest foreigners to join life/health/travel insurance before you visit Myanmar. 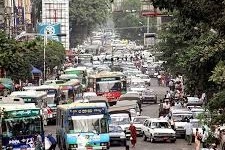 Due to the above car circumstances in Myanmar, many foreigner/foreign companies do not own buy cars, they just rent cars / lease cars. The biggest feature of 「Myanmar rent a car」 is that we provide [Car + Driver + Fuel] service which all the charge of car, driver, fuel are included. 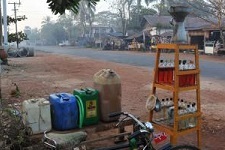 This [Car + Driver + Fuel] service fits Myanamr circumstances and user's needs mostly. Portal website [Myanmar rent a car] established. [Myanmar rent a car] starts to provide car rental service in Yangon. In Myanmar, the car price are very expensive. Untile 2010, more than 10 years old TOYOTA Land Cruiser was sold in 300,000 USD, more than 10 years old Mark Ⅱ was sold in 100,000 USD due to the high tariffs, exclusive of car import business, and the high registration fee. After the civilian goverment took office, car price have come down due to the legal system revison and the open door policy. However, the current price in 2013 for 10-year old used car is the same level as the new car price in western countries. 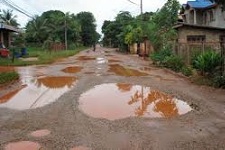 Myanmar road conditions are very bad. In Yangon, there is a lot of road bumps. In suburbs, the road has not been paved almost. 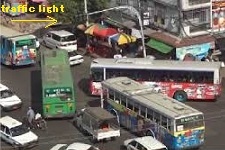 Development of traffic signal is not well-equipped, even at the intersection of the city center, the traffic signal can not be used due to the black out. More scaled thing is the red signal and the green signal lit on at the same time because of the machanical problems. Because of the long year isolation from the international community, financial and insurance system in Myanmar delayed significantly. There was no car insurance system so far, In the case of car accident, it usually be solved in the discussion of the parties. 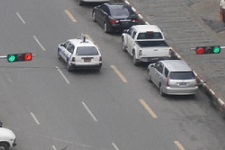 The traffic manner in Myanmar is not good. Usually, car precedence over pedestrains. It looks like there is no much spirit of mutual concession between cars. For example, when you turn left across the oncoming lane, even if the opposite lane does not proceed to congestion, it does not seem to open the space for left-turning vehicle. In addition, most vehicles are lighting on high beam at night, it is very dazzling. Due to the above car circumstances in Myanmar, foreign companies, expatriates, even Myanmar business person are using car rental typically. In Myanmar, the most convenient way of using car rental is the [Car + Driver + Fuel] all in one service rather than "rent only a car". You can use car rental by hour, day, month and year. Using the car rental in Myanmar, you can achieve cost saving, the efficiency of works. Some people might think about rent only a car and drive by him/herself, however, we do not recommand foreigners to do this way because of the road/signal circumstances, bad traffic manners and the lack of insurance syste.